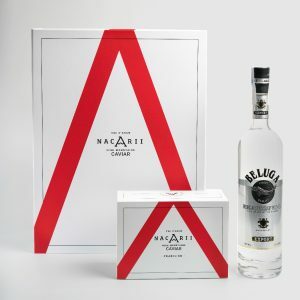 Case of Caviar Nacarii with a bottle of Beluga Vodka. 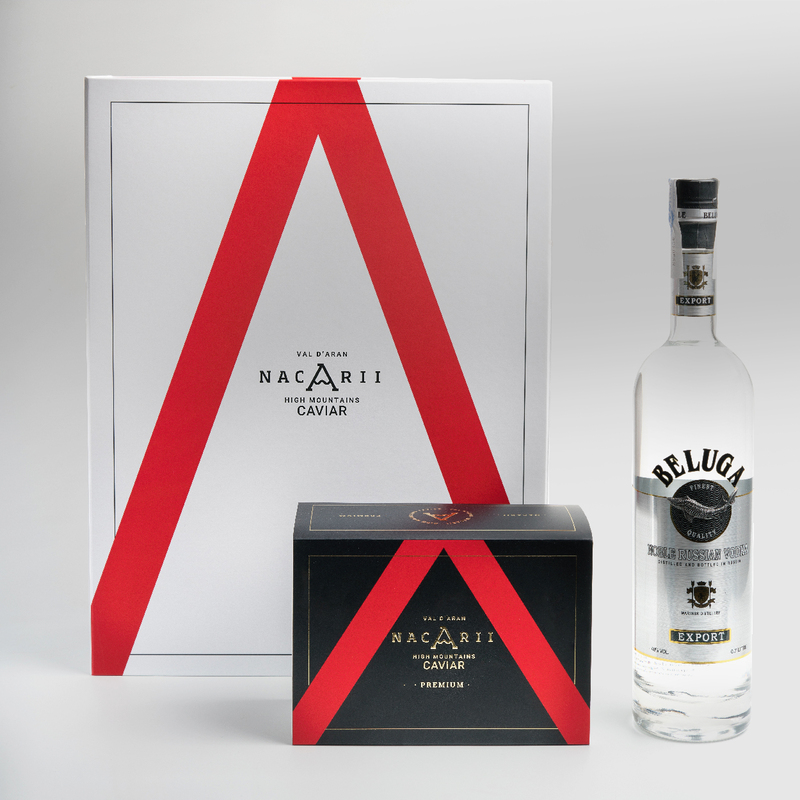 Choose your tin of Caviar Nacarii Premium and savour it with a bottle of Beluga Vodka in the pure Russian Tsar style. 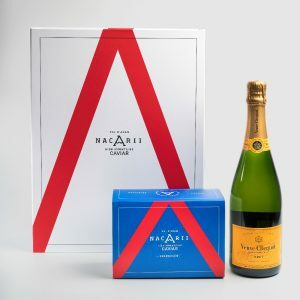 The caviar’s intense and elegant flavour, its hint of sea aroma that lingers on the palate, and its slight sweet touch, are perfectly complemented by the taste of vodka, which enhances its flavour and cleanses the taste buds after each spoonful. 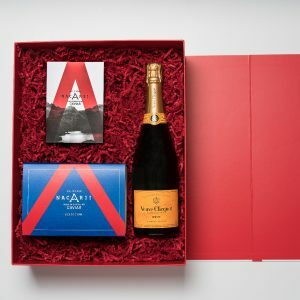 A very exclusive and select gift to share. Shipping is free on the Peninsula and the Balearic Islands on orders above € 150. We accept Visa, Visa Electron, MasterCard and American Express. 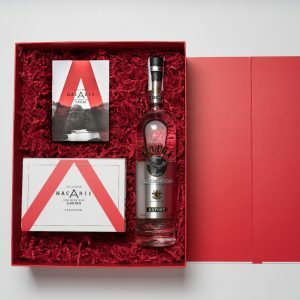 Delivery to Peninsula and Balearic Islands, except Canary Islands, Ceuta and Melilla. 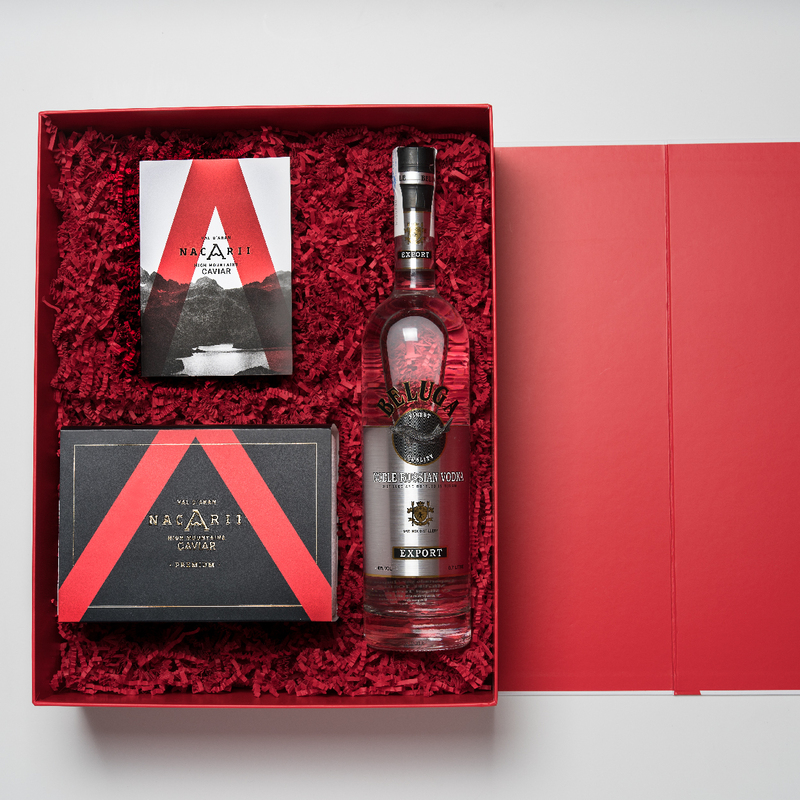 We deliver cold to ensure the perfect state of our products. 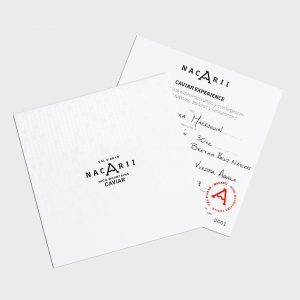 Caviar Nacarii works hard to achieve the highest quality and environmental protection standards. Deliveries will be made from Tuesday to Friday over a period of 24 to 72 hours from the day which the order has been made. Enjoy a unique experience and immerse yourself in a sea of flavours, textures and sensations, recommended by our experts in our shops at Vielha or Barcelona. 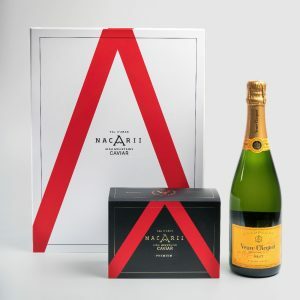 Case of Caviar Nacarii with a bottle of Veuve Clicquot Champagne. Come and enjoy a unique experience in the heart of the Val d’Aran. 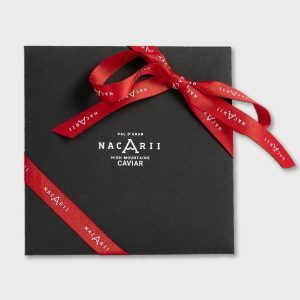 Caviar Nacarii offers all customers the chance to pair and taste our products. For further information, you can contact us by telephone, email or by using the contact form.